Growing up, I had always wanted a lot of friends. Somehow, I came to equate the number number of friendships that one has with one's self-worth, thinking that if a person has little friends, something must be at fault with the person's personality. I yearned to be popular, to be well known, and I'm pretty sure many of us do too. Some strive to be as friendly as possible to as many people as possible, thinking that the more friend they have, the better. The assumption goes that if you have loads of friend, you would not be lonely and would always have company. I used to envy those who are popular. People who are well known by others, who can chat with whoever they meet and who have a bulging friend list in Facebook. I often think that they have a better life than me, because they often have loads of friends to depend on and their schedule is often filled with outings with friends. While having a supper with my old school mates today, coupled with some discussion I had during my Penang trip, I realized that perhaps it's not the number of friends you have that matters but rather it's the depth of your friendships that are important. You see, all of us have a limited 24 hours per day. No one has more, no one has less. If we choose to invest our time in getting to know as many people as possible, we wouldn't have time to get to know our friends deep enough to make that friendship count. 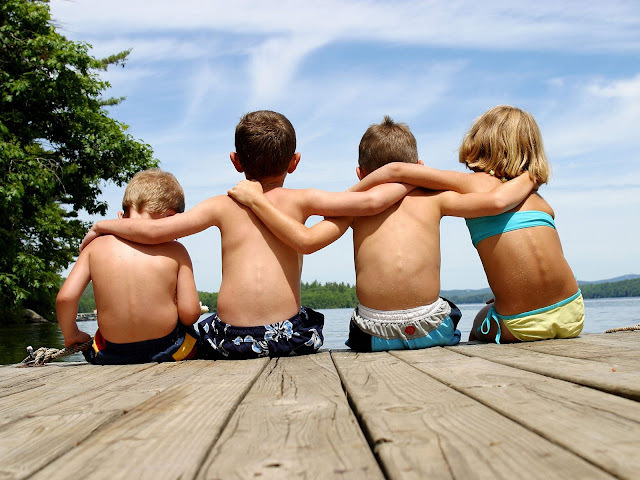 The more friends you have, the less time you have for each of them. And when it comes to quality of a friendship, it always fall back on the amount of time you spent with a particular person. No matter how likeable you are, when you always only say Hi and Bye to your friend, that friendship will definitely be a superficial one. The strength of your bond often depends on the amount of commitment you put in and often, when you have to many friendships to maintain, you have trouble committing to one. Which is what I came to realize this vacation. I found out that even when you are popular and very well known, most of your friendships would be superficial. And often when it comes to group outings, sharing of secrets and holidays, only close friends are invited. What matters is the depth of friendships you have. Though you may not have many friends, you could always depend on the few friends you have to do anything, even burying a body. Take my form 6 friends for example. Even after so many years apart, we could still sit together like the old days and chat as if we're still together in school. Nothing's changed. So I guess I have to stop trying hard to get to know everyone and just be happy for the few friends I have. Because for me, it's the quality of friendship that matters, not the quantity. make new friends but keep the old, one is silver the other is gold.